You all know that the shy daughter leaves would furl when touched. But did you know, if there was the petals of flower will turn into transparent when exposed to water? Diphylleia grayi is a tremendous flower with its white petals that will turn into a beautiful transparent when in contact with water. 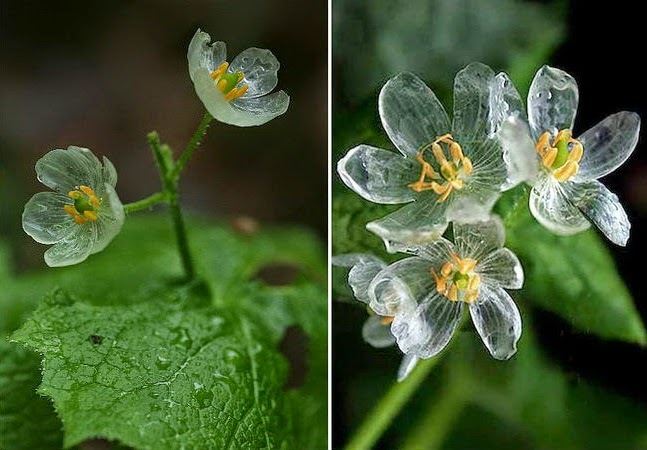 During the drenched rain, at first the white flower petals turned into a transparent and became resembles the glass flowers. This flower is also called "skeleton flower", because when transparent, which seemed just a fine veins like a skeleton. 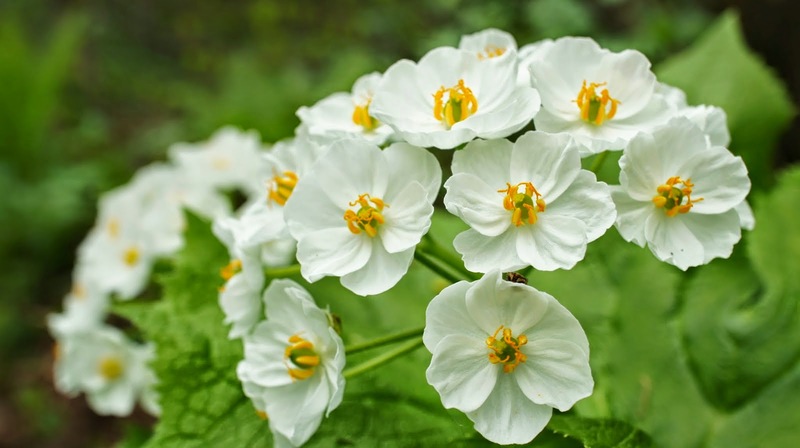 This plant can be found growing in moist wooded mountains in the cold regions of Japan and China and bloom at the end of the spring.